Many people feel uncomfortable with the idea of using their credit and debit cards to pay for things online, but as time goes on and security improves, electronic transactions are quickly replacing old fashioned, cold hard cash. Indeed, many services these days are almost impossible to pay for without a card. There's no doubt that for the majority of businesses that operate online, electronic payment is the fastest, easiest and most convenient way to make a transaction, and unfortunately for the sceptics, that means that to not use a card invariably results in great inconvenience and often having to pay more in administration fees. The most obvious example is budget airlines, which operate almost entirely online in order to keep costs down. When it comes to organising a trip abroad, cards are pretty much essential. But on the bright side, the culture of electronic payment offers many advantages to consumers. Card issuers offer various perks such as basic travel insurance; transactions are all recorded so you can see exactly what you've spent; and all transactions are traceable, so in many ways it's actually more secure than paying cash. The problems arise when small or medium sized companies exploit their clients by putting things in the small print that allow them to make extra charges - clauses that exist in a legal grey area. For this reason it's in your interests to use a highly reputable card issuer with a good customer service policy. A classic example is when hiring a car through a relatively obscure company. You sign a contract that permits them to charge you if the car comes back damaged or without petrol. You return the car in perfect condition as per the terms of the contract, but then a month or two later find that you've been charged for a tank of petrol. There's almost no way to prove your innocence. In cases like these you depend on your card issuer to pressure the merchant. If the merchant is a serial offender then you have a decent chance of getting your money back, but only if your card issuer is prepared to fight on your behalf. Large companies are usually safe to deal with - they have too many employees and too many customers to have a policy of fraudulently overcharging people. They do however make mistakes, and it can be difficult to find an employee who doesn't pass the buck when it comes to resolving matters. Again, the safest way to go is to deal with the companies who have the best reputation for customer service. Hotels and guest houses and the third parties that represent them online come in all shapes and sizes and therefore fall into the medium-risk category. As with car rental companies, there is usually a clause in the contract that allows them to charge you for damage that you may or may not have caused. Always read independent reviews online of any hotel you're considering booking with. If, after you arrive, you begin to have doubts about the integrity of the hotel staff or owners, you can pre-empt any altercation by informing your card issuer of your concerns immediately by email or by letter. Every little piece of evidence helps to support your case. If you have some kind of argument over money with the hotel while you are still there, don't be afraid to fight your corner and don't bow down to intimidation. Threaten them with the police and the local tourist authority and have no qualms about having the argument within earshot of other guests. Many fraudsters rely on perseverance or their victims' apathy to squeeze money out of them. Use a reputable card issuer with a good customer service policy. Always deal with reputable, preferably international companies whenever possible. If you have doubts about giving your card details to a particular establishment, don't do it. Never ever give your card details out over the phone or by email. Always read your card statement carefully. If you feel you've been fraudulently charged, always pursue the issue through as many channels as possible - you may find the offender backs down more quickly than you expected. 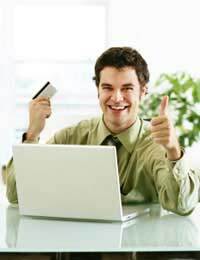 Finally, if you feel that your credit card issuer is at fault, you can take up the battle with them. Refusing to pay your bill is often the only sure way to get their attention, and if you still don't get any satisfaction you can take up your case with the Financial Ombudsman Service. Again, do not back down to tactics of intimidation.